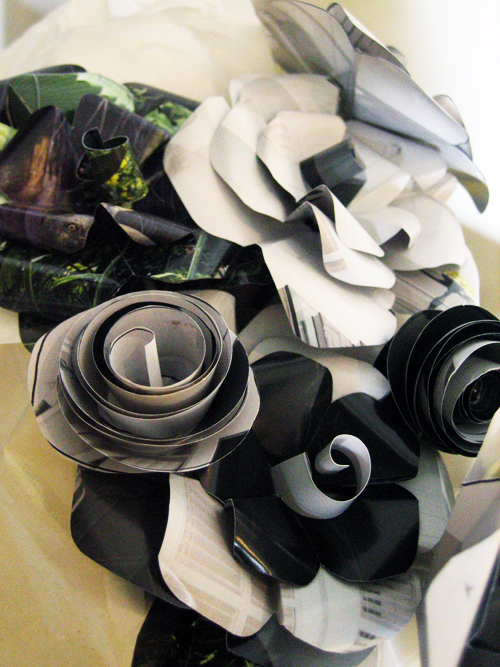 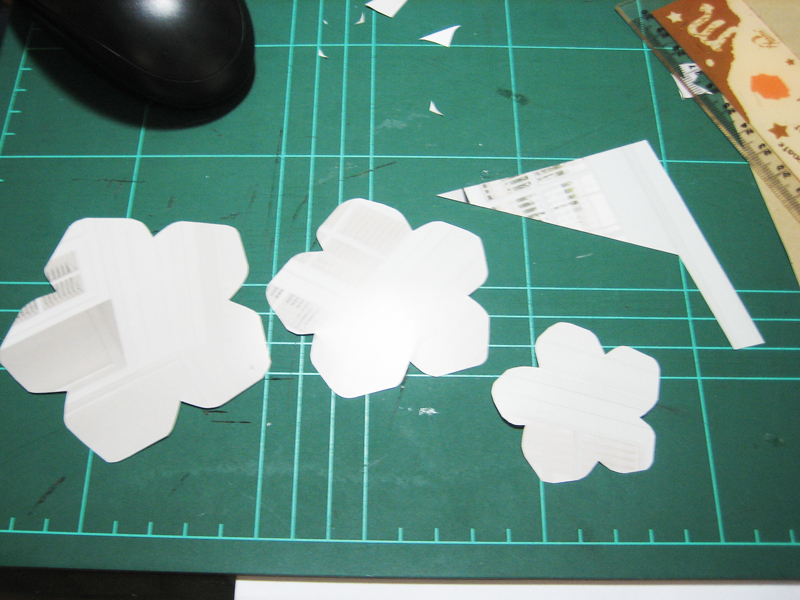 These paper flowers sit beautifully inside an old paper bag tied with silver ribbon on my bedside table now. 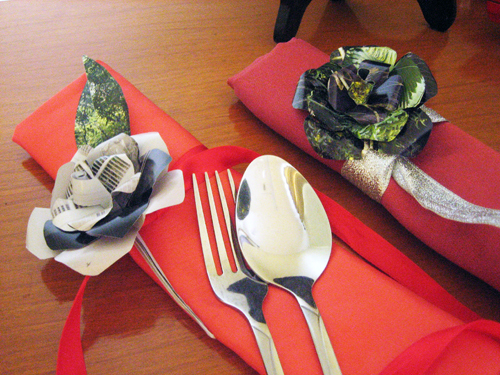 And look at how each flower can be used as a napkin decorative ornament. Just put it on top or slip the stem in between the ribbon. 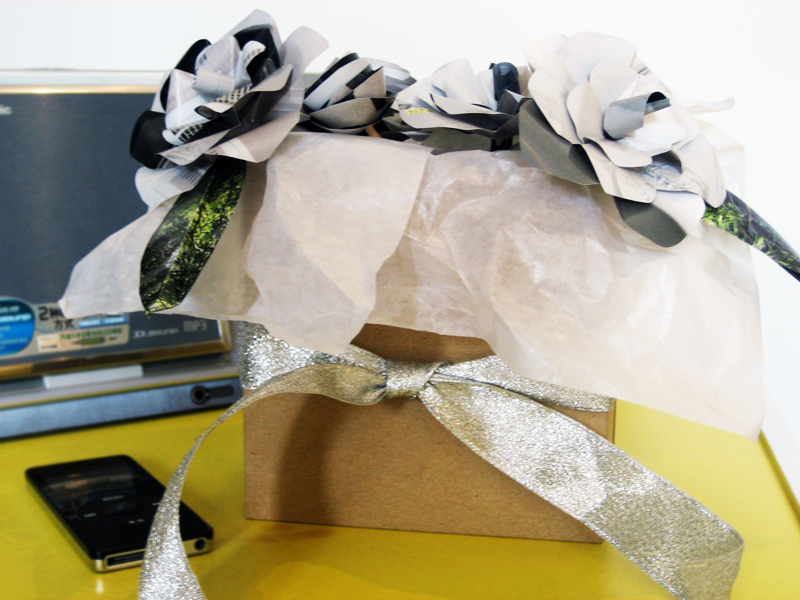 It's great as gift wrapping ornaments, too!